In 2015 NZAC accepted the generous offer of Claudia Posch and Gerhard Rampl at Innsbruck University, Austria to scan and digitise NZAJ 1892-2014, and to prepare it for access via the internet. More than 17,500 pages were scanned, and using automated text recognition software Transkribus, turned into machine-readable text. This generally worked well but created some problems which required further work. For example, specks and blemishes from typesetting lead to text recognition errors and the software occasionally errs — ‘tollipirue Briefens, for example, needed manual correction to ‘Alpine reflections’. Project editors at Innsbruck University and seven NZAC volunteers have corrected these types of errors to get a clean text. A crowdfunding campaign during January 2017 was generously supported by NZAC members and raised $8,800. Those funds enabled Innsbruck University to appoint Milena Peralta Friedburg to support the project and Milena’s work has been superb together with the NZAC volunteers editing the online journals. The editing task is labour-intensive requiring over 1500 hours work but is now almost completed. Readers have two options: you can search across all volumes using ‘Search’, and you can access single volumes via the ‘Content’ menu. Access by volume has an extended user interface where you can also view (and copy) the transcript. This is not the case with the search results page where (because of technical reasons) you can only see the page-images. A link to the digital library can always be found on the NZAC Archives webpage as well. Should you find any significant error (such as a page missing for example) in the digital archive, please advise the Club via this email. 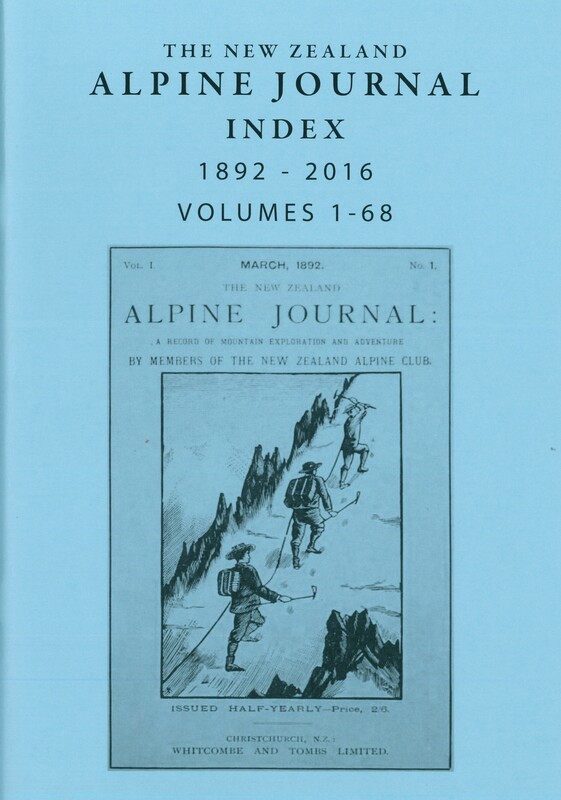 Searching for an article or topic in the digital NZAJ can be assisted by making use of the PDF NZAJ Index 1892­ – 2016 which, once downloaded, is searchable using the Find function.